If you are pregnant it is important that you stay informed, aware and educated. All that you do in these nine months will have a bearing on the well-being of the tiny life growing inside you. The first step towards having a healthy pregnancy is to have access to quality prenatal care. Speak to your healthcare provider and schedule a visit to your physician right away. Speak to the caregiver about any medications you may be on and any health problem you may be dealing with. You also need to decide whether you require services of an obstetrician or a midwife, but it will take some time and research before you find the right person to care for you. A new mom-to-be is bombarded with advice from her friends and well-wishers. Though not all of them are fact-based there are a few time-tested rules that you will do well to follow. Here are a few tips for you. As mentioned earlier, it is important that you organize your per-natal care without any delay. This will give you access to the best possible advice and instructions for healthy pregnancy right from the start. During the first visit to the doc, your vitals and medical history will be recorded. Your weight and blood pressure will be measured, and routine blood and urine tests will be performed. Urine tests are carried out to detect the presence of high levels of protein or sugar. Blood tests reveal whether you are anemic, nutrient deficient or suffering from any infection. Pre-natal vitamins and supplements are prescribed which help protect and nurture your unborn child. Ensure you are regular with all prescribed medications and follow instructions carefully. Folic acid and iron supplements are usually prescribed to ensure proper development of the fetus. You will have to get ultrasound scans done periodically. This helps the doctor see the growth and monitor the health of your baby. Many women now choose to use fetal Dopplers at home to listen to their baby’s heartbeats. You too can, provided you have a word with your caregiver prior to that and learn about its proper use. 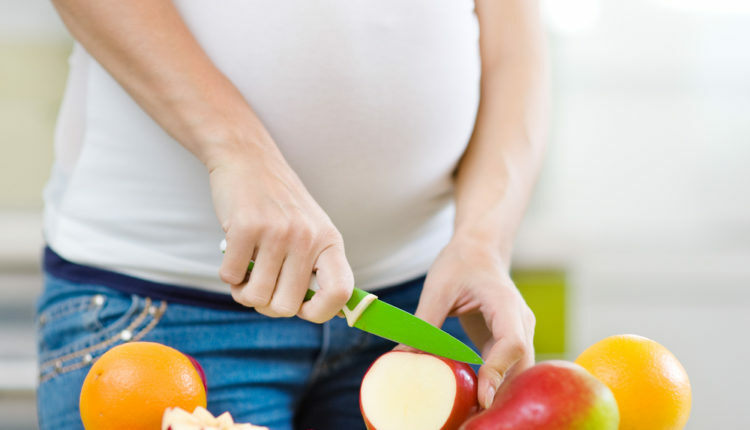 There are no special diets that you need to follow when pregnant. A healthy diet that is balanced with all nutrients in right proportion will satisfy your dietary requirements. Ensure that you eat a lot of fresh fruits and vegetables. Green leafy veggies like Swiss chard and kale are packed with nutrients including vitamins A, C and K, as well as foliate. You also need to eat foods that are rich in proteins like lean meat and eggs. Lean chicken and fat-free pork and beef are all great sources of protein. Beans, nuts, legumes, cheeses and tofu are good protein sources. Omega-3 fatty acids are essential for the development of your baby’s brain. Fatty fish like salmon, sardine and tuna are good sources of healthy fish oils. Canned light tuna, salmon, pollock and catfish are rich in omega-3 and have low levels of mercury contamination. The FDA recommends not more than 12 ounces of fish every week for pregnant women. Other sources of healthy fats include walnuts, flaxseed, canola and soybeans, and their oils. Sweet potatoes are a would-be-moms best source of vitamin K. It is also packed with fibers, vitamin C, potassium, iron and vitamin B-6. You can cook or bake a batch and store it as a handy snack. 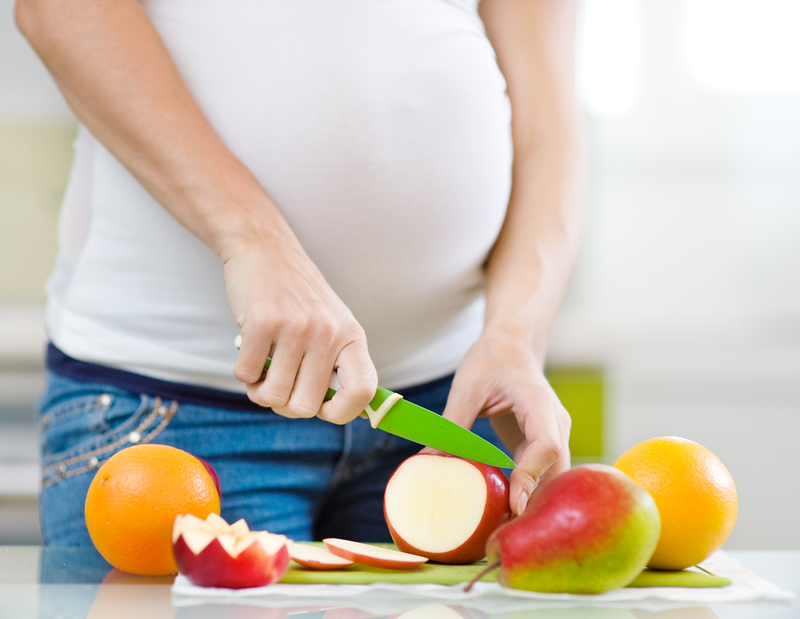 As far as the perfect pregnancy diet goes, the mantra is to dunk junk food and try to eat healthy as far as possible. Also, do not beat yourself up if it is a pastry and espresso that you want for lunch. Try to make up at dinner time or make a full-fledged nutrient-dense breakfast the next morning. Each one of us experience pregnancy differently. But the first time around it can be quiet stressful and tiring. Make sure your partner or a loved one comes along with you for doctor visits. You have someone who shares your excitement and is happy to be a part of the wonderful journey. If not you partner, you mom, a friend or your sister can be your companion. Not only this helps create a welcoming environment, but you also have a support system to rely on and feel more at ease with the whole experience. Ensure you go out with your friends and eat out or catch a movie. The best way you can treat you pregnancy is to forget about it. Though this is tough, restricting yourself can only contribute to make the period more taxing. Barring dangerous activities, do not stay away from enjoying life. Cultivate an attitude that looks upon your growing baby as a companion rather than as a responsibility. There are many among us who experience drastic mood swings and depression during pregnancy. If you feel something isn’t right or if the blues just do not go away, do speak to your doctor about it. Misplaced priorities, unnecessary worries, unplanned pregnancies and hormone fluctuations can all be culprits in how you are feeling right now. Take proper care of your mind, body and soul. Try relaxing exercises, join a maternity class or a yoga center, or take up a new hobby. Keep yourself occupied and ensure you remain happy and social. Light exercises during pregnancy also help in easy labor and aid quicker post-baby weight loss. All fun is in the preparation as far as having a baby is concerned. You can start for the new phase in your life right from the day you know you are going to be a mother. You will need to check out the maternity leave policy of your employer and the regulations in your state. Also make sure that you do some groundwork regarding the best childcare options in your locality. Baby and mom gear, clothes, nursery stuff, diapering supplies and childcare can add up in no time. Do not leave room to feel overwhelmed and panicky. Get your financial house in order and be careful with your spending. Save up where you can and ensure your insurance and other paperwork are in order. You probably cannot wait to get done with your pregnancy and pop the little one out, but ensure you have a few pictures of your growing belly taken as keepsakes. Not only will you enjoy looking at them years down the lane, but so will your kids. Pregnancy sets you on a one-way journey to a whole new life and novel experiences. Eat well, stay happy and be prepared for the unexpected. Looking after yourself, your mind, body and soul, is the best gift you can give your tiny dependent.